It is always a pleasure to get a stationery request from someone you know. 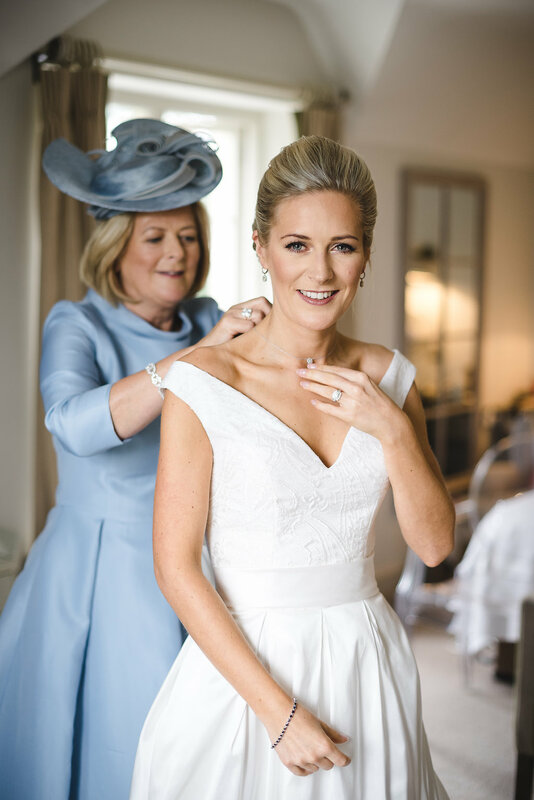 Nicola was the year below me at school, and although she did all her wedding planning from Australia, we got to chat on a number of times as she ordered everything from Save the dates through to Thank you cards just the other day. 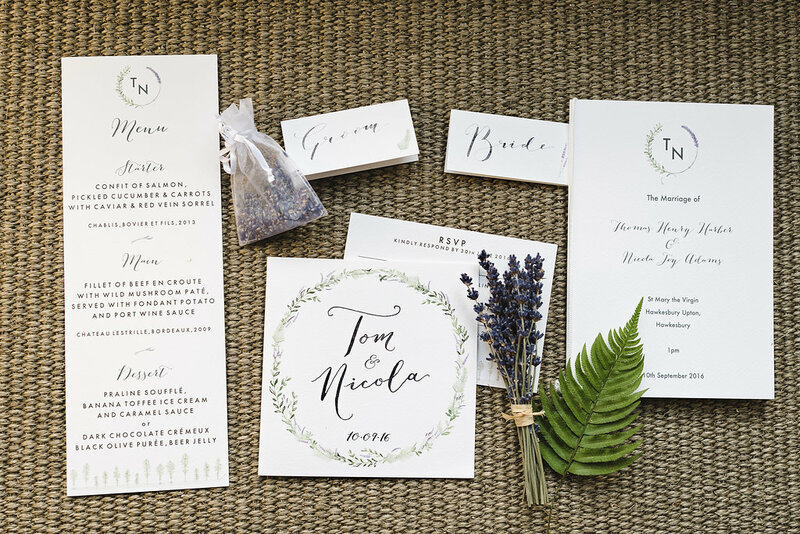 Their photographers Nicola and Glen took such care with styling beautiful shots of the stationery I was so touched. 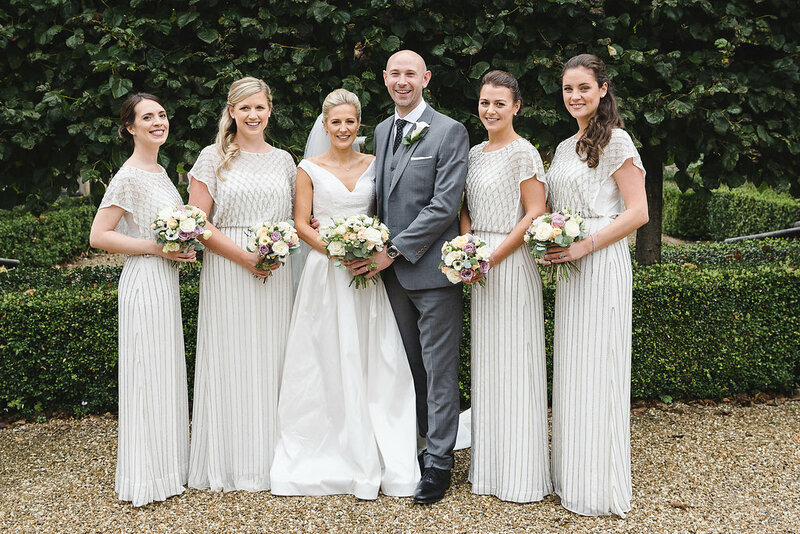 They are exquisite photographers who clearly get the amount of work that all wedding suppliers put in to make a day so special for the couple. 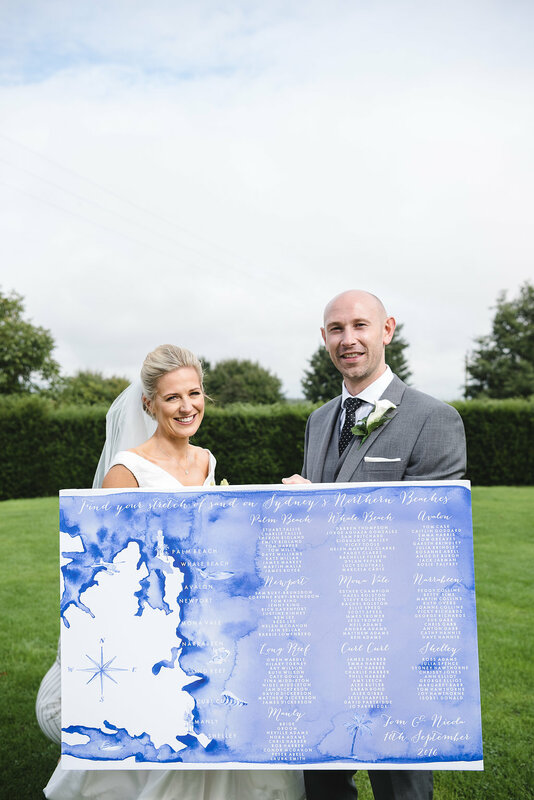 I wanted to share a few images of the day with you as well as a pretty epic table plan. 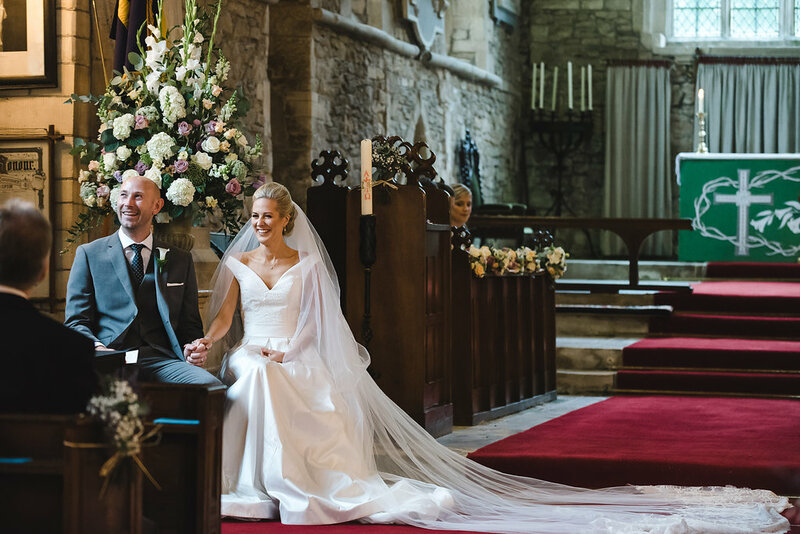 Nicola and Tom had a classic English Country Garden wedding with the reception at Calcot Manor. 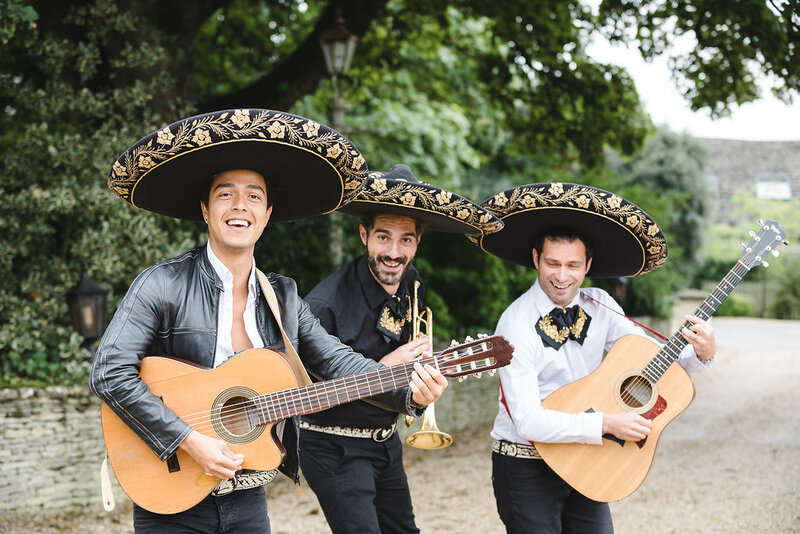 Once the Mariachi Band had the guests in suitable party spirit, Nicola and Tom found a moment to pose with their table plan. This was such a fun commission to do. 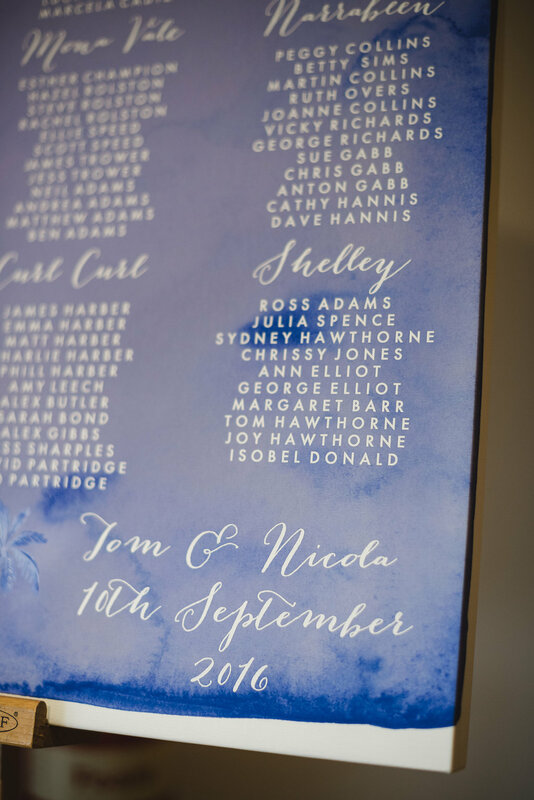 Their life in Australia was a big influence on the design of the stationery with the pine trees of Manly Beach featuring throughout, the table plan was an opportunity to celebrate all of the beaches on the North Sydney Coast. 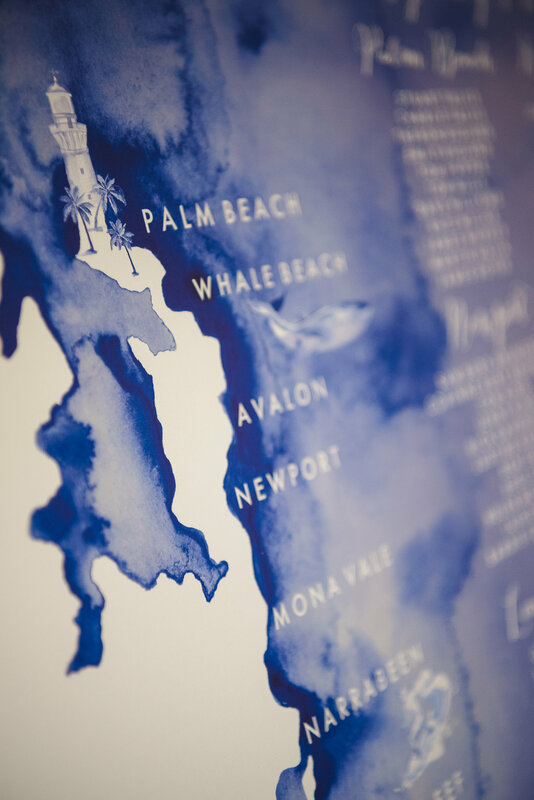 We chose little icons to signify each beach, all hand painted in royal blue to blend in with the vast watercolour expanse of sea that held the table names. 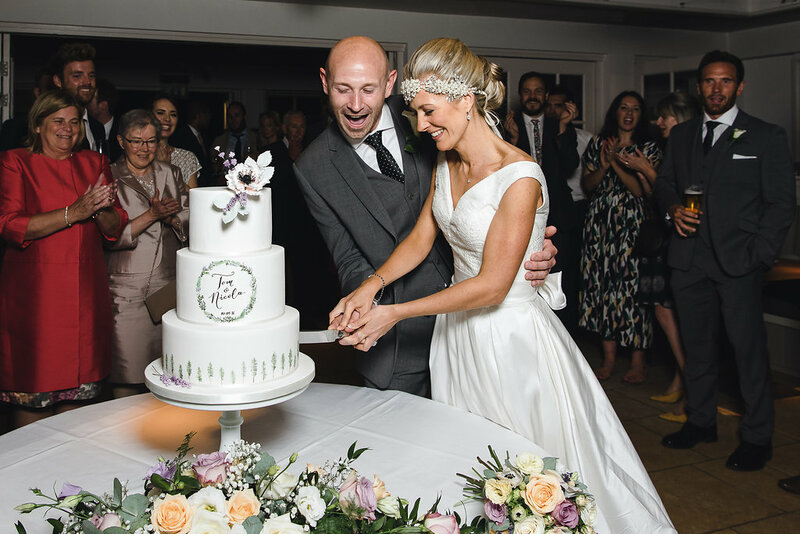 When I thought it couldn’t get any better, I noticed their cake was painted with my design from the invitations. There is only one cake designer this could have been! Curtis and Co Cakes specialises in hand painted designs. This is the second time she has recreated one my designs on a cake, and she absolutely nails it every time! New Christmas Card range available on Not on the Highstreet now!